The application contains many useful features to make you pleasant viewing of your favorite TV streaming. With the application you will always have on hand your favorite channel lists. The video player is very quickly. The app is universal, once purchased will let it to take advantage of your IPTV channels even from your iOS tablet. If you have an IPTV subscriptions or you have of your playlists in the format M3U8 you can quickly take advantage of your channels by simply adding a link to the application. Now you can paste files directly in the M3U format by copying them from the website. IP Television uses the stability of the VLC player to play back movies. Never been as enjoyable now enjoy streaming tv. With IP Television and the good playlist M3U8 to qualify in the highest quality of all, absolutely all of your favorite channels. Download now the 'application and search lists iptv from google. With your lists M3U8 you can enjoy endless TV channels in your application. All the power of the VLC player in a mobile device. Now you can use your lists channel streaming and on-demand with the new seekbar. Ip Television is constantly updated to be able to always offer the latest features. Ip Television brings streaming and on demand television video to your iOS device. With its familiar television features, Ip Television is an easy to use service for watching live TV over an internet connection. At home whilst the soaps are on, or on the move – you’ll never need to miss a goal again. Watch live TV with the convenience of a simple app. Browse a wide range of channels in the TV. Great for watching sport, news, soaps, comedy, films, music, and children’s TV. Ip Television allows you to load an M3U8 playlist. With “Google” you can find many m3u. Discover the potential of the application through this simple video. Eccellente app x intuitività, qualità di audio e immagine e completezza di canali. 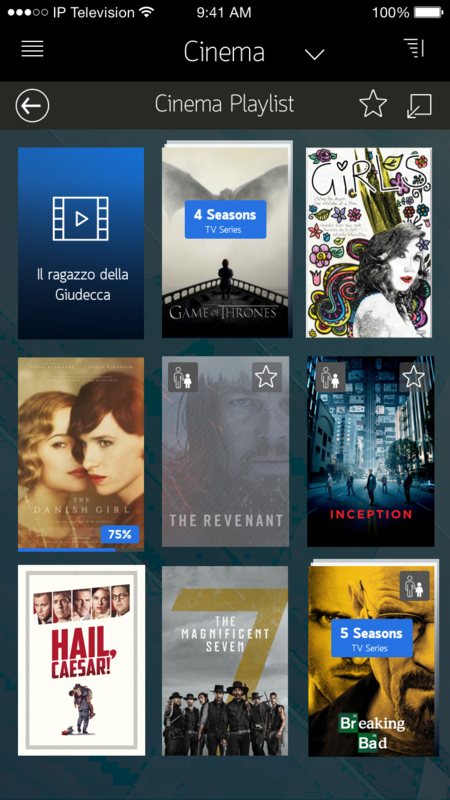 La consiglio per avere avere sempre la propria tv on mobile! Veramente strepitosa!!! Ho acquistato il pacchetto e riesco a guardare tantissimi canali. A me funziona benissimo e non crasha. Molto soddisfatta del mio acquisto. Con piacere cambio il commento lasciato precedentemente, perché con l''ultimo aggiornamento si vedono e sentono in modo ottimo tutti canali. La quinta stella quando toglierete la pubblicità, o quantomeno spostate il banner sul fondo dello schermo! In ogni modo Continuate così!!! IP Television 2 for AppleTV has arrived.